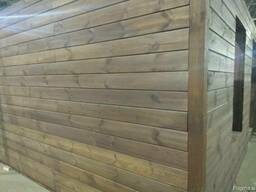 T	Wood thermal treatment is accomplished in constant steam saturated environment without oxygen under high temperatures that are changed and kept for a certain time (170 - 220°С) without any chemical agents, preserving its natural pureness and beauty. The equipment price includes: the camera of thermal treatment, mechanic rail system with electric drive, automatics, a set of clamps, a hydro gate container. The expenditure upon electricity in average make 250 kWh upon 1 м3 of timber for the entire modification cycle. 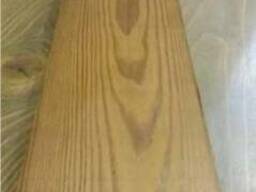 The recommended humidity of timber before the modification is 8 – 12 %. 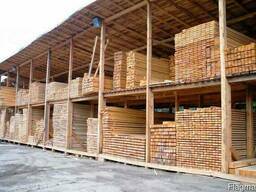 The time of timber thermal treatment is 60 – 85 hours (depending upon the thickness and kind of wood). Natural camera cooling is done within 20 – 30 hours with creation of vacuum inside the camera. The camera of timber thermal treatment (thermomodification) has a thick-walled casing : 8 – 12 мм, insulated from outside with screened (20 мм) and ordinary (100 мм) rock wool, covered with metal sheets. Thermocamera is equipped with automatics, that provides control of temperature and time regimes with high accuracy. 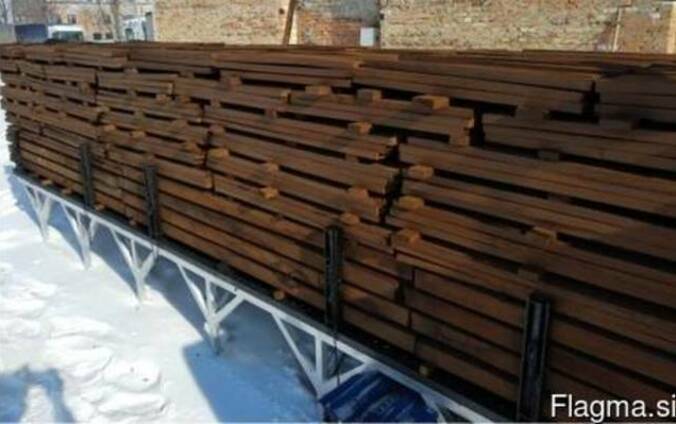 The heating elements have a maximal heat capacity, that promotes electricity saving and equal timber coloring alongside and height of the pile. 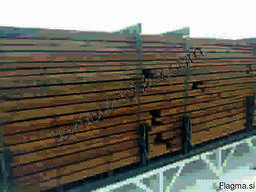 Rail system has independent mechanic uploading/unloading of timber platform that is conducted by means of the electric gear. The bolt armature and stainless steel pipe for steam emission provide longer time of use. Mounted mechanism of the camera lid is performed to enable opening and closing by one person. Closing bolts are external collar bolts for convenience and quick lid opening and closing. Closing of the lid to the casing is accomplished to twice prolong the service time of sealant (8 – 12 loads). Substitution of sealant is convenient and quick due to the guides in the camera casing. Clamps with convenient and firm clips provide firm holding of timber during the entire modification cycle that protects timber from curvature. High-quality silicon sealant and temperature resistant silicon for mounting increase the service time twice. Mounted side holder of camera lid provides its staying open when unloading timber. We perform equipment tuning and start and staff teaching. Every client has a possibility to visit the company and see the equipment in action. We always assist, advise and share useful information.